The deadline for abstract submissions for the April 2012 symposium on the Sentinel-2 satellite is just around the corner. The first Sentinel-2 Preparatory Symposium will be hosted at ESA’s ESRIN centre for Earth observation in Frascati, Italy, from 23 to 27 April 2012. The symposium is open to anyone interested in Sentinel-2 data or involved in the development of the mission, including ESA Principal Investigators, co-investigators, Sentinel-2 users, scientists, students and representatives from national, European and international space agencies and value-adding industries. During the symposium, participants will focus on how data acquired by Sentinel-2 can be used in the areas of agriculture, forestry, land cover, cartography and other applications. The deadline for the submission of abstracts is fast approaching. Interested parties need to send in their ideas for papers and posters by 12 December for the Scientific Committee’s review. For more information, visit the symposium website. The Sentinel series is foreseen to collect crucial Earth observation data for two decades. 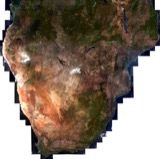 Sentinel-2 aims to deliver high-resolution optical images after launch in 2013, providing enhanced continuity of SPOT- and Landsat-type data, but with a higher number of channels and a broader scanning swath. ESA has been acquiring Landsat data at European stations since the 1970s, and the missions were the main data source for many years when Earth observation started at ESA’s ESRIN centre in Italy. Today, ESA holds around two million Landsat products in its archives. The new data acquired by Sentinel-2 allows for continuity in Earth observation after 40 years of Landsat missions, in particular for observing environmental change. 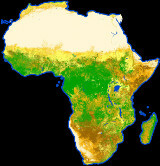 Sentinel-2 will deliver frequent and systematic high-resolution optical imagery to be used for land cover maps, Land Use Land Use Change and Forestry (LULUCF) mapping, Reduce Emission by Deforestation and Degradation (REDD) mechanism monitoring, agriculture monitoring, disaster monitoring and many other applications. It will provide research institutions with input to derive geophysical variables of prime interest to the many Earth science fields. The satellite will deliver 800 gigabytes of information every day.